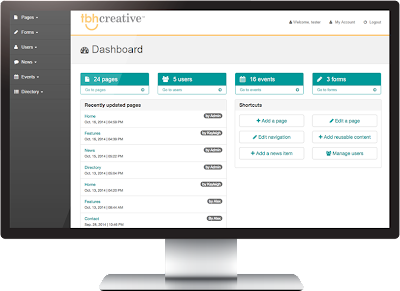 TBH Creative has been working hard over the last few months on a new, upgraded version of our custom content management system (CMS). We are happy to announce that the upgrades are complete, and the new CMS is ready for use. In this article, we'll take a tour of the new features and capabilities included in the upgrade. We've completely changed the look of the CMS to provide a more current and easy-to-navigate clean interface. Pages now have a more streamlined layout, making it easier to add—and edit—content. We've added a brand new Dashboard feature to the CMS. 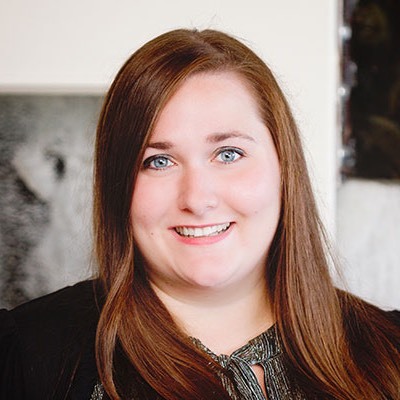 Here you'll find general website statistics, shortcuts for common actions, and a list of recently updated pages showing which user made the edits and when. The navigation has been overhauled in the upgrade. All sections can now be quickly and easily accessed from the navigation's dropdown menus. 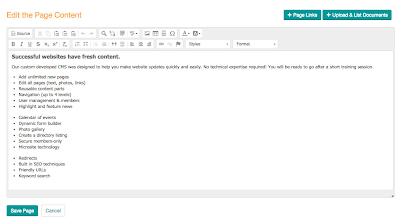 The navigation can be collapsed as well in order to give more space for page editing when needed. If you need to make a quick change to your website on-the-go, now you can! The CMS has gone responsive and can now be accessed from your smartphone or tablet. 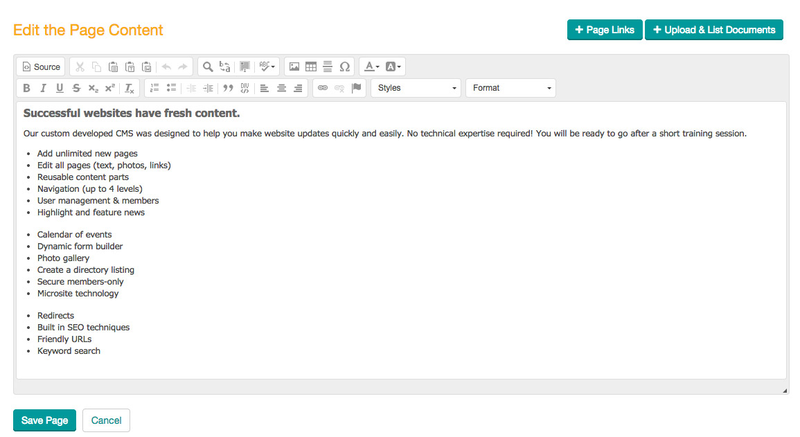 The editor has an updated look as well, with advanced style options that can be easily customized for your website. 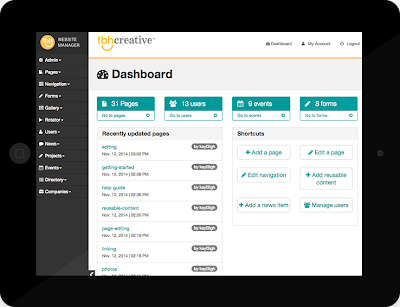 If you're unhappy with your current CMS or don't have a CMS, TBH Creative can help! Our newly upgraded CMS will help you to update and maintain your website with ease. Find out more about our CMS tool, or get started by requesting a demo.